When Anna Mansfield moved from Idaho to a rural Malawian village to serve in the Peace Corps, she looked for ways to use her skills to benefit the grassroots work already happening in her community. After meeting the Budala Women's Group and its founder and chairperson, Ella Zande, Anna knew she had found what she was looking for. Over the course of several weeks, Anna and Ella worked with the group to identify priority needs. They settled squarely on fish farming, "to both improve food and nutrition security and increase incomes. This strayed from my own expertise," says Anna. "Together we were tested. 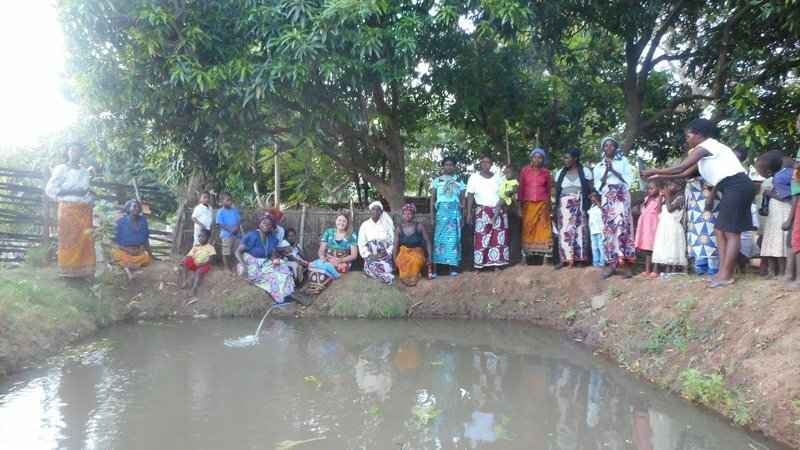 We were constantly learning and adapting as the fishpond project evolved." The Budala Women's group now boasts over 65 members across three villages in Malawi. Fast forward to two years later. As Anna's service came to a close, she reflected on all that the group had accomplished. "The group had established two new fish ponds, a large and diverse vegetable garden, and a fruit tree orchard with over 100 saplings and, equally important, a growing workforce of women." "These and the other projects the Budala Women managed facilitated economic empowerment and advancement of the group members, who continue to drive their local economy today. I felt – and continue to feel – immensely proud of the work we accomplished together." The Budala Women’s Group now boasts over 65 members, with chapters in three Malawian villages. They have also established a village investment bank to help provide financial resources to other women in the community. Since it was founded by Ella in 2010, the group has managed a variety of income-generating projects, including fish farming, production of honey, moringa powder, and produce, and managing a bakery. These ventures, and the business skills they have gained under Ella's leadership, have enabled group members to on average increase their monthly income tenfold. The project above was funded through the Small Project Assistance program (SPA). SPA is a joint collaboration between USAID and the Peace Corps which allows Peace Corps Volunteers to participate with USAID in development efforts, helping communities to implement small, self-help activities, in sectors ranging from health to agriculture to small enterprise development. Learn more about SPA.